Governor Ron DeSantis says Collier County will receive $40.9 million in reimbursement money from the state and federal government. 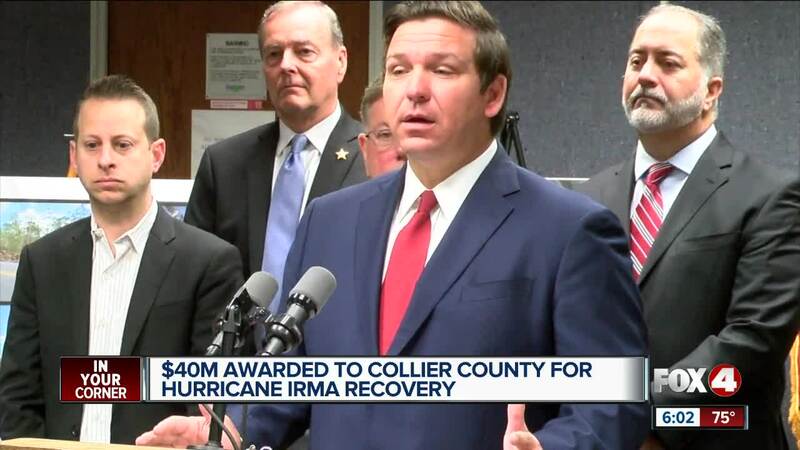 COLLIER COUNTY, Fla — Governor Ron DeSantis says Collier County will receive $40.9 million in reimbursement money from the state and federal government. The funds will cover the cost of debris removal from Hurricane Irma, which made landfall in Marco Island on September 10th, 2017. 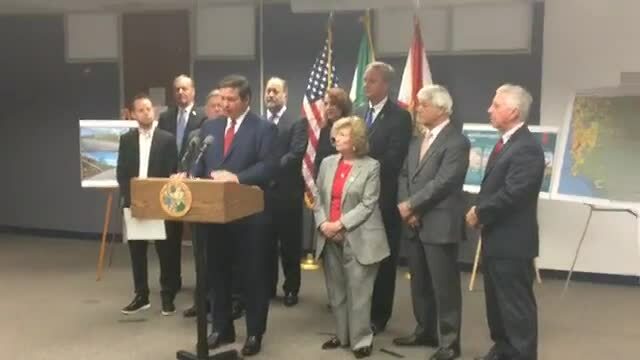 "When these big storms hit, the debris and the clean up costs just overwhelm their capacity to deal with it on a budgetary basis,” said DeSantis. Officials say Irma created twice as much debris as Hurricane Wilma in 2005. "About 3.7 million cubic yards, and this time we had a lot more construction demolition, and we refer to that as mattresses, appliances, furniture, and dry wall,” said Collier County Emergency Manager Dan Summers. Officials say the reimbursements from the federal government were slowed in part due to a large amount of hurricanes that hit the U.S. in 2017. In October, Hurricane Michael, a near category 5 storm ravaged the Panhandle. “I do think FEMA could do a better job, but honestly I think Congress needs to evaluate how this is being done. They have all these different hoops you have to jump through, because they are trying to prevent the money from being wasted, I get that, but the way they do it is totally ineffective,” said DeSantis. DeSantis says the auditing process has been streamlined so next time a municipality needs federal dollars, they can still receive them without doing a 100% audit of their operation. The money paid to the county Tuesday only covers debris removal. Marco Island City Council Chairman Erik Brechnitz says the city has a separate FEMA application pending for repairs to street lights, signs and catch basins. That price tag is expected to reach $1.5 million. I am proud to announce $40.9 million in reimbursements for Collier County to help recover from Hurricane Irma. This has been a long time coming and my administration will remain committed to making sure that all areas impacted by recent Hurricanes make a full recovery.